Henry grew up in an era of change in Taiwan’s history. The country was transforming from an agrarian society to an industrial one. He was one of the last to romp and play in the ever-shrinking farm lands that once blanketed the countryside. To this day Henry has many fond memories of the endless child-hood play days that were filled with games, laughter, and joy. Such memories will remain with him for the rest of his life. The farmlands were shrinking but unbeknownst to Henry, they were destined to disappear instantaneously altogether; for his dad, a banker, had been transferred to the United States and he wasn’t about to leave his family behind. Henry’s early school years in New York were unremarkable. But, beginning with his high school days at Brooklyn Tech, his perspective on life changed dramatically. In spite of the fact that he was a student at one of New York City’s premier high schools, he found the place socially unfulfilling and dangerous thanks to high crime rates and general declination, deterioration and desertion of New York City in those days. Upon graduating, he entered New York University where he had hoped his perspectives on life would change. To his surprise, he found college to be not much different from high school. In the search for answers to the emptiness in his life, Henry joined the Buddhist Club. He found Buddhist philosophy too self-serving and disappointing. Despite failing to find the answers he sought in Buddhism, Henry considers his time in the club as God’s Providence. The opportunity helped him to realize that he was looking in the wrong place for his answers. He now understood that he needed to look outside of himself, not inside, for contentment. Eventually, he decided to give church a try. However, it was not to find answers to his discontentment that he went to church. Instead, he went solely for social reasons, solely for the purpose of meeting girls. Henry went to church for the wrong reason, but God used the occasion to speak to him and softened his heart of stone. Three months later, the church sponsored a retreat. Having never gone on a retreat before, Henry decided to go. The weekend was not only his first church retreat, but it was also destined to be a significant turning point in his life. During one of the sessions, the speaker gave an altar call to which he responded. At the time, Henry did not understand why he felt compelled to respond. Today, what happened that weekend is no longer a mystery to him. He now understands what God was doing. God sought to give him the contentment he had been longing for much of his young life. The only thing God asked from him was a total surrender of his heart and life which he freely gave. Since then, discontentment has never reared its ugly head in his life again. Seminarians rarely say that seminary is fun. Instead, some have been known to equate seminary with a cemetery; and for good reason. For the two words do not only sound alike but the two are also alike in the amount of fun each generates…zero fun. The reason a cemetery is rarely equated with fun is obvious. Seminary has the same reputation due to its workload. Every seminarian knows how much work is involved in seminary with its unending list of books to read, countless sermons to write, numerous presentations to prepare, endless ministry duties to carry out and its myriad of papers to research. All of this work combined leave little to zero time for eating and sleeping, let alone having fun. But, for Henry life at Gordon Conwell was a blast! Really? Yes! Why? Well, it is because at Gordon Conwell, Henry lived a life-style he never had a chance to enjoy previously. AT Gordon, he lived in a dorm and he loved it!. He found dorm-life in seminary created a whole new world of Christian community and social engagement that he never experienced before. For Henry, seminary-life in a dorm was heaven on earth. Thanks to the many new friends, meaningful fellowship and gregarious community at Gordon Conwell, Henry’s life in seminary could only be described as fun, filled with joy and contentment! When Henry began looking for church positions to serve in, it was his hope that he could find a position that would allow him to work with college-age young people or adults. But, he found the only positions available to him were those of Youth Pastor. For now, Henry is happy to serve as a Youth Pastor as he is currently doing at Chinese Evangel Mission Church of Queens. He sees this opportunity as a chance to hone the skills that he has while learning new ones as the occasion arises. He sees these early years of ministry life as a time of preparation for when God will call him to work with college age students and/or an adult congregation. Such a perspective is too often missing from those less teachable than Henry. But, thanks to the fact that he is teachable, wise and mature, it would not surprise to learn years from now that God has blessed him richly and used him mightily to grow his kingdom and bring praise to Himself. 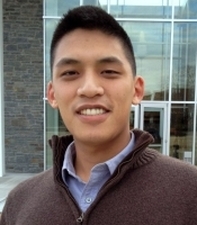 Joshua Vang joined the staff of Chinese Christian Church of New Jersey in Dec, 2012. He came aboard expecting to work alongside of, and under, the leadership of Co- Youth Pastor Manny Low. However, God had other plans in mind for Manny. He opened the door for Manny to serve him in Thailand (see Going in Obedience in PaLMprints/News). Manny’s unexpected departure meant that Joshua’s anticipated work and responsibilities in the church grew exponentially. The added work load and responsibilities are a challenge, but Joshua expects to be up to the task. Joshua was born Minneapolis, MN but grew up in St. Paul, MN as the third child of seven children (three brothers and three sisters). He considers growing up in St. Paul a great blessing because of its size and location. Its size enable Joshua to love the hustle and bustle of city life and its location gave him his love of sports and the outdoors thanks to the many waterways, parks, and fields found on the outskirts of the city; running and fishing all year round are just two of his favorite pastimes. Joshua also enjoys watching sports. His especially loves March Madness, when he can watch his favorite college basketball team, the Kansas Jay Hawks. Joshua may have grown up in a Christian home and learned many stories about God, but his faith was superficial and shallow. This became evident when his brother died in an automobile accident while on a youth group outing. The incident shook Joshua’s faith to the core. The death raised in Joshua’s mind a host of questions that put God’s fairness in a harsh light. How could God do this to our family? How could God allow this to happen to my dad? How could God permit such a horrific thing to happen to someone who had dedicated his life to serving him? In answer to these questions, he could only find two responses: either God was not good, or he did not exist. Disillusioned, depressed and discouraged Joshua began getting involved with the wrong crowd, skipping school, and getting into fights. It was not until a cousin, who was a youth worker, reached out to him that things began to turn around. The cousin began by taking Joshua to his church. Sometime later and to everyone’s surprise, he gave Joshua a few youth group responsibilities. The relationship and trust shown him by his cousin allowed Joshua to search deeper for the answers to his hard questions. Joshua eventually came to realize that his view of God was too narrow; for if we look to God only for fairness we would all be condemned for our disobedience and rebellion. But, because God loves us, he sent his Son to the cross to die for us while we were yet sinners; such a love is immeasurable and incomprehensible. When Joshua began to grasp the depth and breathe of God’s love for him, he responded in the only way he could have, he asked Christ to enter his life as Lord and Savior and offered his life in service to God. Joshua does not know where God will lead him in the future. What he does know is that for the time being, God has called him to serve the Chinese Christian Church of New Jersey as their youth pastor. He is thankful for the opportunity to serve there, and he looks forward to seeing where God will take him during his life-long journey. Dennis' spiritual foundation can be attributed to the preaching and teachings of his senior pastor. However, he was not the only one to shape his life. Both his junior high and senior high school pastors spent much time teaching and mentoring him. His home church with more than 2,000+ members, as one might expect, is the largest in the area and essentially Caucasian. Thus, because of where he lived and went to church, few and far between were his opportunities to meet and interact with other Asian Americans. In fact, until he got to college, the only times he did run into other Asian Americans were when his dad planned, or organized, Asian American events. His dad organizes Asian American events? Who is his dad? Last name Chow? That name sounds familiar! It should sound familiar. His dad is someone many of us at least heard of and some of us know. Dennis Chow is the son of David Chow, the President of Ambassadors for Christ. Is that, right? Yes, but we digress. So Dennis had many good reasons to remain in Paradise (pun intended), but he chose to turn his world upside down and serve a Chinese Church in Chinatown New York. Well, that is not exactly right. Dennis did choose to obey and come to New York, but it was God who called him here. When called to serve, we do not get to chose where we serve, God does, ask Jonah. Dennis attributes his call to New York to four factors God put in his life: 1) The burden he developed for NYC as a result of the many stories he heard from his NYC Chinese Christian friends. 2) The counsel of an uncle who challenged him to consider serving the needs of the Chinese church, 3) A relationship he developed with a girl from New York resulting in their concluding that his moving to New York would eliminate the need for a long-distance relationship, and 4) a chance meeting. Before I explain the chance meeting factor, let me first clarify reason 3. I fear that, without a further explanation, some may unfairly judge Dennis and assume this girl was the real reason for his coming to New York! Admittedly the girl was one factor in his original decision; however, that is no longer the case. Before he departed for New York, the two had split. Thus, ultimately, reason 3 was a non-factor in Dennis’ final decision to come here. Now back to reason 4. In August of 2011, Dennis attended a wedding. During the cocktail hour, he sat down at a table with people he did not know. The unknown people were members of Chinese Evangel Mission Church, Manhattan (CEMC-M). As they got acquainted, he shared with them that he was about to graduate seminary and was interested in finding a pastoral position in New York. They asked for his information, but he imagined that nothing would come of it. What Dennis didn’t know was that CEMC-M was interested in finding an Assistant Pastor. Thus, when the group returned home and reported of Dennis’ availability, the church got in contact with him, thought he would be a good fit and the rest is history. Dennis came on board with CEMC-M December, 2012. He is, in reality what I would call a newbie. In his case, he is a newbie for three reasons: 1) he is new to the area, 2) he is new to ministry and 3) he is new to the Chinese church, especially those in the New York area. Dennis may be a newbie but God has equipped him well for the task before him. God has blessed Dennis with many abilities, spiritual gifts and a solid biblical foundation upon which to build his preaching and teaching ministry. In the short time, I’ve gotten to know Dennis he has shown me that he has a good head on his shoulders, a well-balanced outlook on life, and a person of character. In short, there is much potential in this young man. I look forward to serving alongside of him and watching how God will bless and use him here in the New York area in the years to come.